The Friars Club will present its highest honor – the Entertainment Icon Award – to Robert De Niro, and its Icon Award for Philanthropy to Carlos Slim at the annual Friars Foundation Gala. The Entertainment Icon Award pays tribute to individuals whose accomplishments transcend the entertainment industry by positively redefining the very culture we live in. 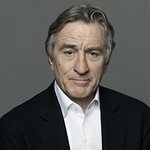 De Niro will join Hollywood legends Tom Cruise, Douglas Fairbanks, Cary Grant and Frank Sinatra as the fifth Entertainment Icon Award recipient since the Friars launched in 1904. Slim is the premier recipient of the Icon Award for Philanthropy, which pays tribute to Slim’s philanthropic and humanitarian endeavors and serves to applaud his work to stimulate education, advance health care and strengthen small businesses in Latin American countries and around the world. Expected to attend the event are 50 Cent, Richard Belzer, Tony Bennett, David Blaine, Orlando Bloom, Blythe Danner, Kit Harrington, Kevin Hart, Miss America 2015 Kira Kazantsev, Harvey Keitel, Larry King, Art Linson, Penny Marshall, Joel McHale, Kathrine Narducci, Edward Norton, Édgar Ramírez, Jane Rosenthal, David O. Russell, Arturo Sandoval, Ben Stiller, Sting, Sharon Stone, Kenan Thompson, Uma Thurman, Christopher Walken, Harvey Weinstein, Stevie Wonder and more. The Friars Club was founded in 1904 as a meeting place for entertainers and over the years has achieved legendary status. Its membership includes the likes of Jimmy Fallon, Jon Stewart, Brian Williams, Barbra Streisand, Jerry Seinfeld, Tom Cruise, Les Moonves, Whitney Cummings and Samuel L. Jackson. The Friars Club “Monastery” is headquartered in Midtown Manhattan in a classic townhouse and is a haven for entertainers young and old. The Friars Foundation was established in 1977 as the charitable arm of the legendary Friars Club. The mission of the Foundation is to help performing arts groups create superior, innovative and affordable programs for the enrichment, education and enjoyment of diverse audiences and participants. The Foundation also helps prepare the next generation of performers and musical artists through scholarship programs for students studying the performing arts. In addition, it has created the Gift of Laughter Wounded Warriors Program, which enables the Foundation to bring laughter and comedy to members of the armed forces injured during service.